Welcome to Part 2 of my key takeaways from MozCon 2015. While Part 1 takes a look at some of the big changes coming to Google and SEO in 2016 and beyond, Part 2 will take on some actionable insights into what’s going on with SEO right now, particularly relating to mobile search, app optimization and Google Analaytics. 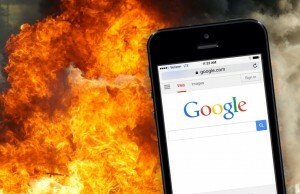 Mobilegeddon: Google Wanted to Scare Webmasters into Updating for Mobile, and it Worked. Remember when everyone collectively lost their mind about the April 21 Google Mobile Update that would crash and burn hard-earned organic traffic if a site isn’t considered “mobile friendly?” Remember what happened the day after Google Mobile Update, aka Mobilegeddon, rolled out? That’s right, nothing. Google transparently spoke for months about the effect of this update, and it had tons of SEOs and webmasters very concerned. So what happened? Google lied to us and got what it wanted. As both Dr. Pete of Moz and Cindy Krum of Mobile Moxie both highlighted, on April 21, about 70% of sites were eligible for the new “mobile-friendly” tag. As of early July, over 80% of sites in the SERPs are considered mobile friendly. Google loudly cried wolf and got webmasters to change without having to roll out a huge algorithm update. Fair enough, Google. But why commit such a ruse? Mobile now represents more than half of all searches (despite desktop search traffic remaining steadfast), and Google is still having a difficult time with click-through rate on paid ads in the mobile platform. So as mobile traffic continues to grow and more types of mobile devices hit the market, Google decided to nip this problem in the bud. Okay, we get why Google wanted to trick us, but what were, if any, the fundamental changes that happened during the Mobile Friendly Update? The viewport settings, font sizes, tap targets and mobile-specific errors currently do not affect whether a site receives a “mobile-friendly” tag. Will Voice Search and Direct Answers be the Death of SERPs? Maybe. Several presenters, including Dr. Pete and Cindy Krum, also discussed the impact of voice search. No question, with our increasing dependence on our phones, voice has become a major player in the search landscape. According to Google, 55% of teenagers and 41% of adults used Google Now, Siri, or Cortana voice search at least once each day, as of autumn 2014. It remains to be seen just how much voice search will change the SEO landscape in the future, but for now there are a few ways to optimize your content to rake in this this traffic. And it starts with optimizing your content to be included in the Direct Answer featured snippets. Google’s Direct Answers primarily appear in mobile searches, and more importantly, for people using voice search on their phone. Voice searchers want quick and easy answers to their search queries, and do not want to be provided with pages of search results. This is where the Direct Answer featured snippets provide the most value. To optimize for Google Direct Answers you ideally need to include the possible questions on your site, and then answer them in easy-to-understand language that is quick to read. You also need to restructure your current webpages so that the more important information is listed close to the top of the page. 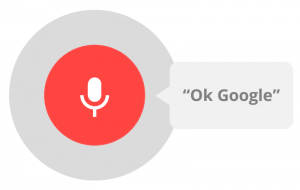 Will voice be the death of SERPs? It could be, in a way. Right now mobile phones have these big beautiful screen displays that often discourage the use of voice search. But tools like the Amazon Echo voice appliance, with no screen at all to distract us, may entirely revolutionize how Google delivers its results. And how is Google going to monetize the voice search revolution? Right now, nobody knows. Mobile Apps & SEO: Is ASO the New SEO? Marshall Simmonds of Define Media Group raised the question, could app store optimization become the new search engine optimization? Now that Apple and Google have introduced app indexing that allows mobile users to find deep app content directly in the search results, this may be the case. For a long time, the only app content available to search engine crawlers were the titles and descriptions found in app stores and on company websites; deep app content remained unindexed and inaccessible to crawlers. This has changed, and now that Apple Search is indexing deep app content, it should become a key part of SEO strategy moving forward if you want to attract iOS users to your app and content. Because both Google and Apple indices rely on code within the apps, rather than simply from content on corresponding web pages, it is critical that SEOs be involved in the app development process up to and beyond app launch to ensure the titles, descriptions, keyword markup, content and more are optimized and ready to rank. 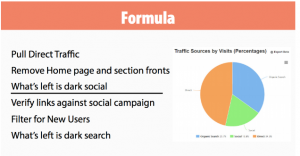 What is Dark Traffic and What Causes it in Google Analytics? Perhaps you’ve seen it in your Analytics data where direct traffic contributes a huge portion of your overall site traffic. Are these actually users finding the site directly, or something else? Chances are, it’s something else – the dreaded dark traffic. Dark traffic comes from URLs that can’t be properly tracked and record in Analytics simply as “direct.” Because this traffic does not pass a referrer string, it is unclear how these visitors actually arrived at the website. This lost traffic data can affect whether marketing outreach initiatives like paid social or email campaigns are perceived as successes or failures. Dark traffic may manifest itself in two ways: dark search and dark social. What’s the difference? Dark search comes from apps, browsers, image search, secure search, etc. and dark social tends to come from email, sharing apps, Facebook, Snapchat, WhatsApp and more. How do browsers like Chrome and Firefox contribute to dark search? Incognito and private browsing tend to effect referrer strings, as well as any time the browsers undergo updates. Similarly, anytime Apple (and even Android) updates its operating system, organic traffic will take a hit if Apple forget to update attribution, as it often does. Be sure to monitor each iOS update and cross-check your organic traffic data to determine if the update is having an effect. Say you have a lot of dark traffic in your Analytics and want to determine which is coming from social, which is coming from search and which is actually direct traffic. What is the best way to do this? Based on the formula presented by Marshall Simmonds, first take a look at the direct traffic and remove the homepage and all the main pages that someone might have bookmarked. This is dark social. Then verify links against all current social campaigns, filter for new users and what’s left is dark search. Can UTM tracking help resolve some of these traffic problems? Sure, it can’t hurt, particularly for email and Facebook links, but it is not a catchall. There is no surefire remedy to this issue, other than to beware of what traffic recorded as direct is actually dark search, dark social or actually direct traffic. What the Hell is Going on with All Those Spam Referrals in my Analytics? After another year of MozCon, it’s safe to say that search engine optimization will never die; it will simply evolve. And if marketers and business owners wish to succeed in the future search landscape, they will have to evolve along with it.